My thoughts and interpretations of things I find interesting. Let’s create our own class and see if we can use it with the with statement. print "Initializing an Awesome Class"
Upon closer inspection you’ll notice that Python complains about our Class not having an __exit__ method, so let’s give it one. print "Just Exiting as one should"
This time Python complains about an __enter__ method. All right Mr. Python Interpreter, as you say. Let’s change the prototype and see what those 4 arguments are. We can infer from this traceback that myObject is None. The __exit__ method tells us more about the error that occurred . This highlights the philosophy behind the __exit__ method. It is supposed to handle any errors that might occur in the with clause. The arguments to it are the type of error, the error object and the traceback object respectively. It might also be used to perform clean up if no errors occur. For eg: Closing a file. The with clause relies on __enter__ and __exit__ . The object returned by one of these must go into myObject. Since __exit__ would be performed at the end, this leaves __enter__ to return the required object. I am just returning the object itself, but it can return anything that can be intended to be used in the with clause. As you can see, since no errors occur, the __exit__ method is supplied all None arguments. The point behind explaining it this way is to highlight Python’s amazing debugging ability. 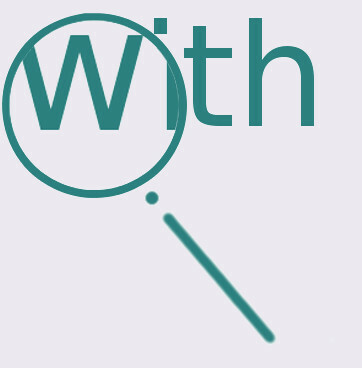 We have seen the usage and predicted the philosophy behind the with clause without referring the docs. But I’ll highly recommend reading them to get the complete picture. Solving Mazes , Like a Boss ! I'm the guy who writes here .